Many of you who know me know that my two favorite passions are books and sports (besides my three red-haired grandsons)! I was the original tomboy/bookworm many, many moons ago! In honor of my beloved Broncos earning a trip to Super Bowl 50 in Santa Clara, California, I am offering $200.00 off of editing services to any author who contacts me during the Super Bowl month of February. 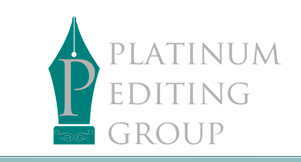 If you have a finished manuscript or are working on a manuscript, now is the time to consult with a professional editor!